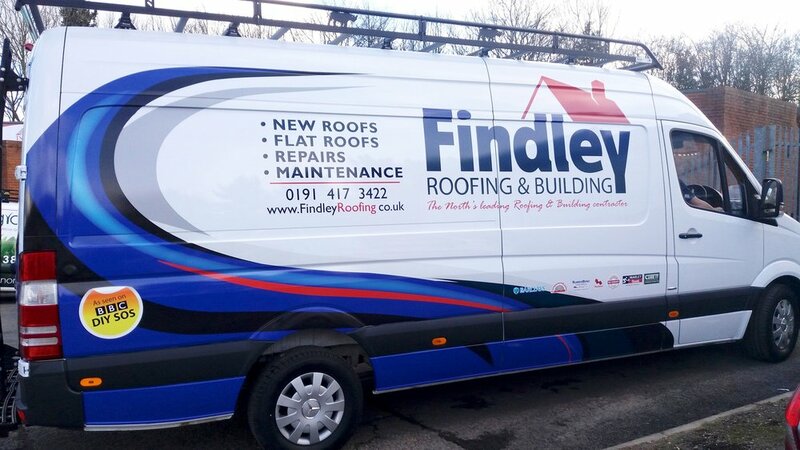 Findley Roofing & Building delivered 40 brand new vehicles to be wrapped by Radecal. We always deliver a quality service on time, every time. Hence we are their preferred supplier. 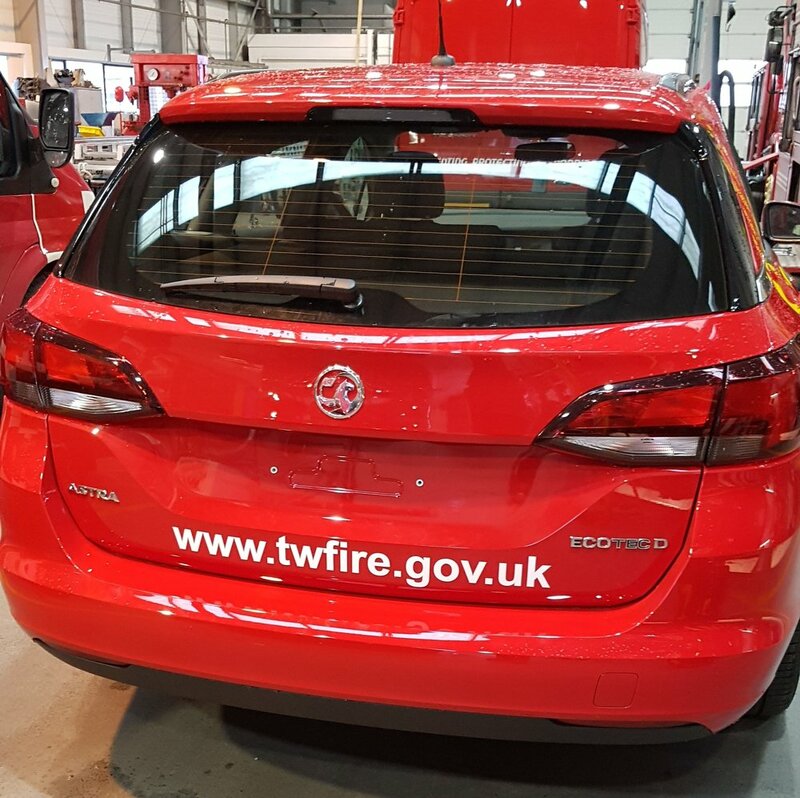 TYNE & WEAR FIRE BRIGADE. 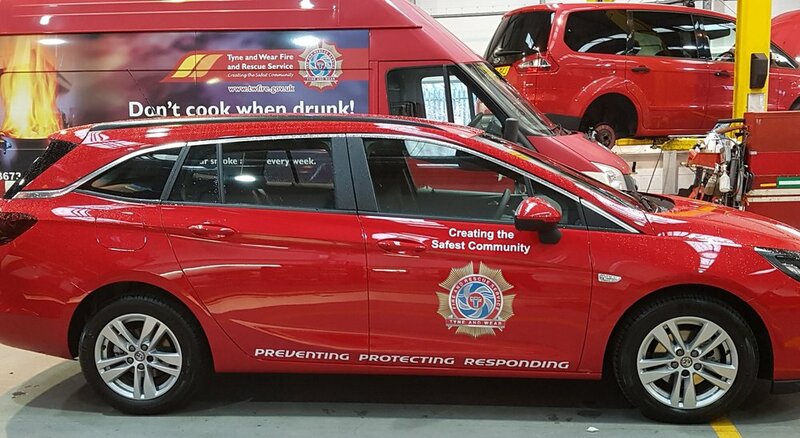 The simple but effective application of vinyl lettering along with print and cut logos on a fleet Tyne and Wear Fire Brigade vehicles. Full coverage of a caravan which span over 7 metres long and 2.5 metres high! 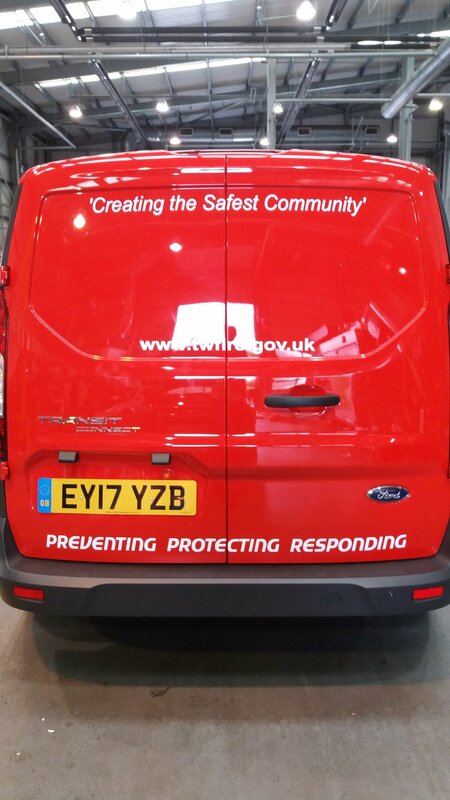 Panel job on both sides and the rear with the additions of vinyl rings and lettering. The simple but effective use of vinyl. Panel job on both sides and logo on bonnet. 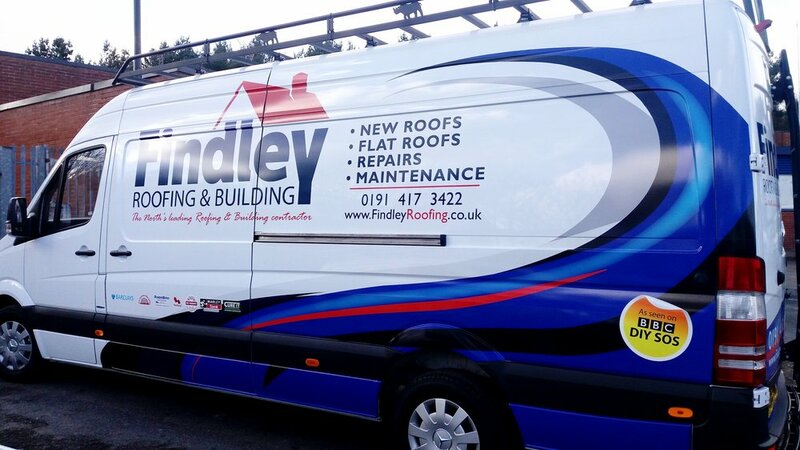 1A Shutters, a returning customer wanted similar graphics from a previous design, applied to a new larger van. 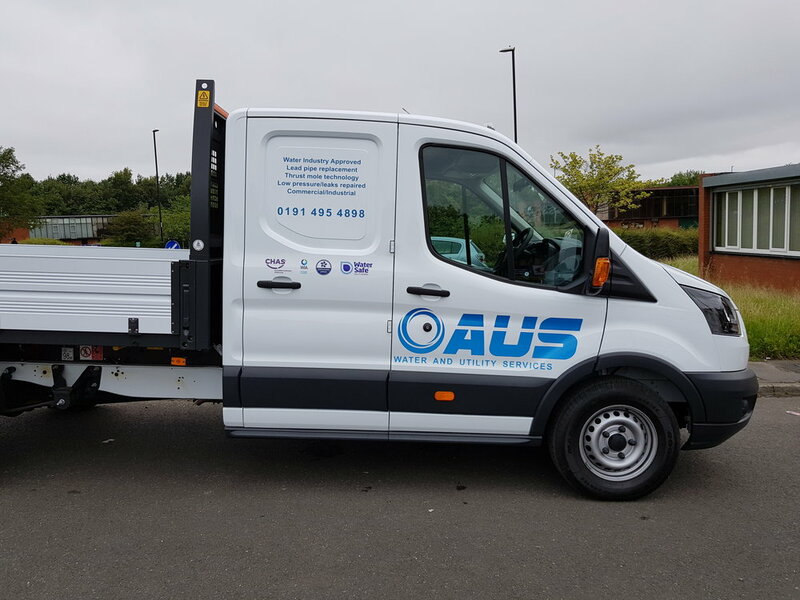 This installation incorporated the use of vinyl lettering along with a special type of cast vinyl, to give the van a professional high quality finish. This job was mainly print and cut logos and the use of vinyl. 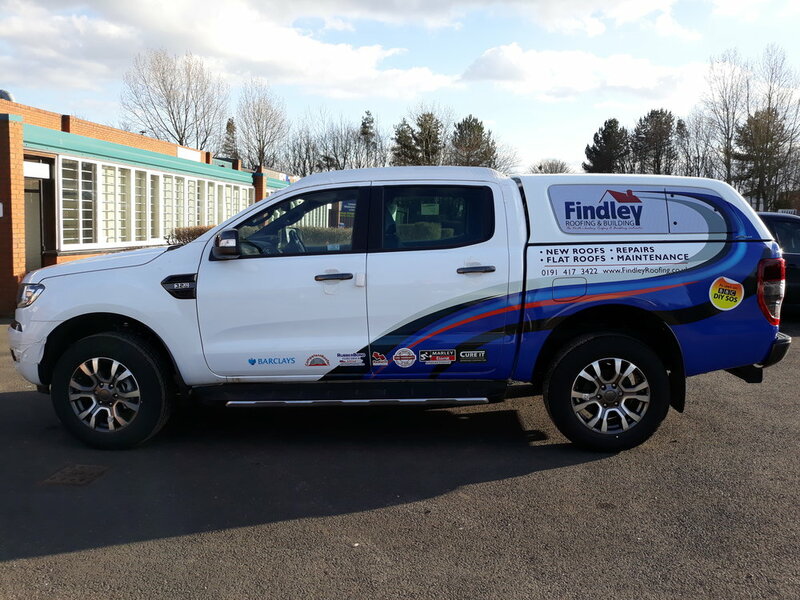 The effective use of a half vehicle wrap along with side vinyl lettering, social media icons and a bonnet logo. Panel job on both sides and the rear. 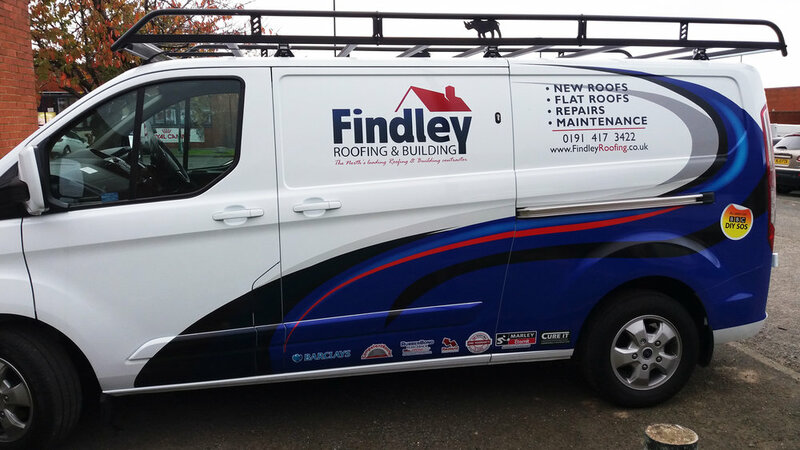 Laminated digital print was applied to this Citroen Box van. The results look stunning. Full wrap on both sides with the addition of vinyl. 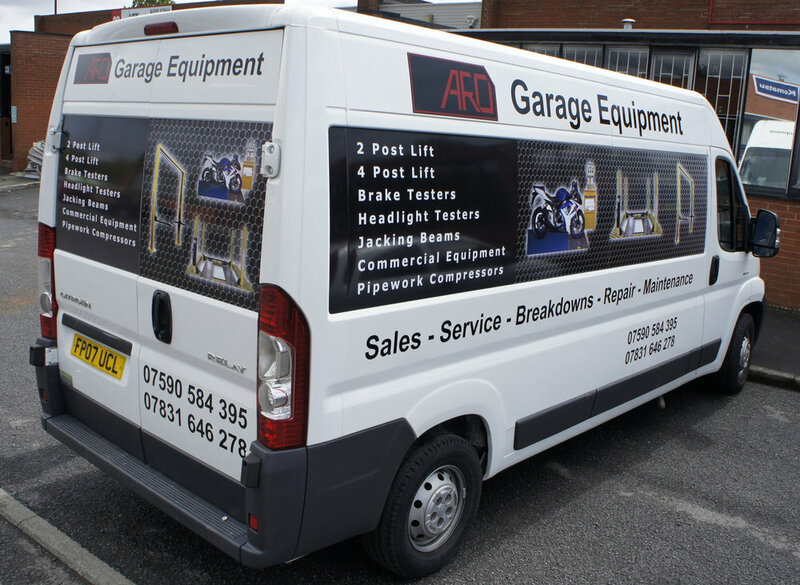 Print and cut van decals. This job was mainly print and cut logos and the use of white vinyl. 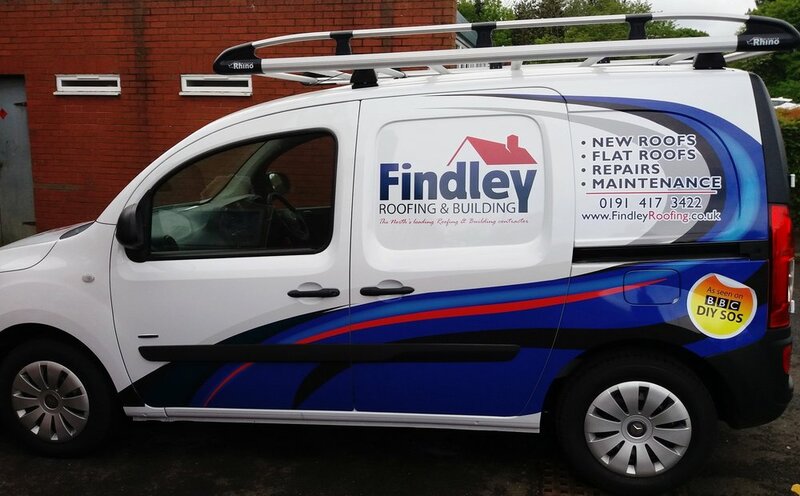 An effective panel job on both sides and the rear with the additions of vinyl and supplier logos. We were contacted by a previous customer in regards to re-wrapping and re-applying print and cut vinyl to a Falcon Sport car. The results are amazing. The full wrap of catering truck for Hog Roasts Catering. 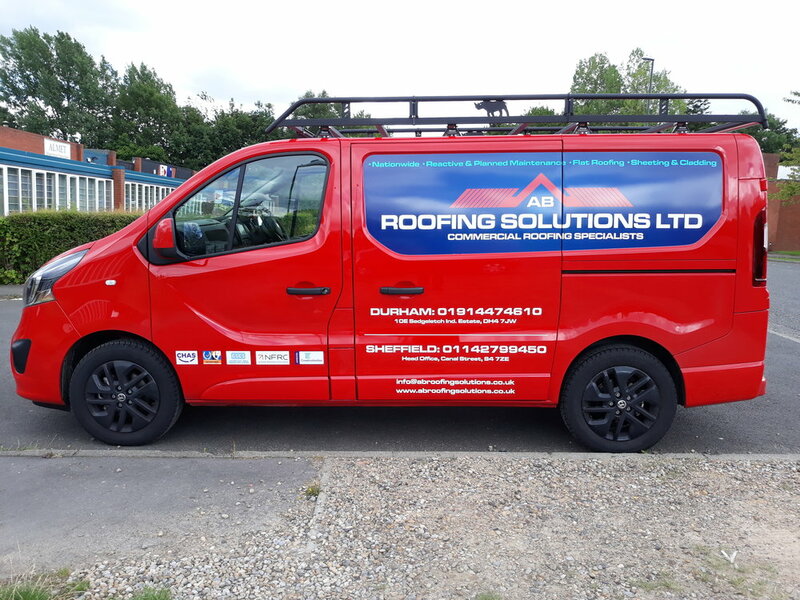 A half vehicle wrap with the additions of vinyl lettering on both sides, the rear and the bonnet. 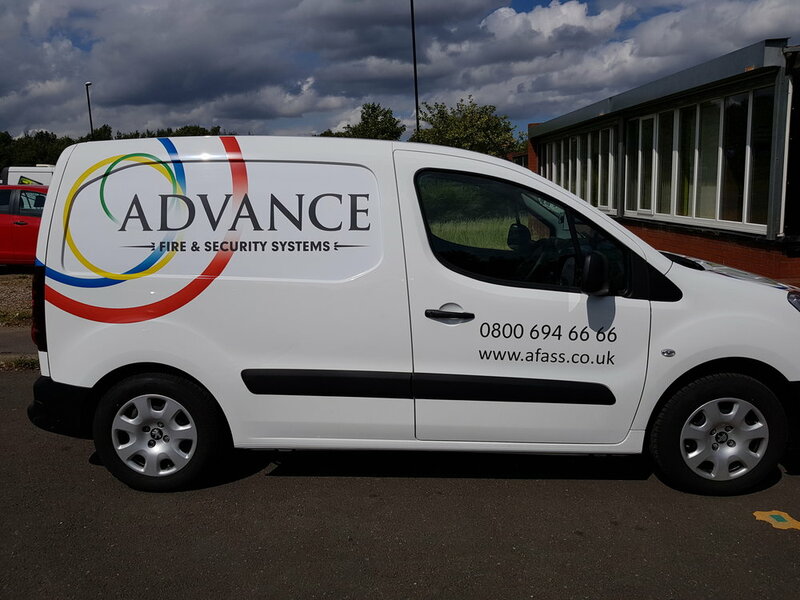 Full wrap on a long wheelbase van. Shaw Home Improvements were in need of vehicle graphics to be applied to their Citroen Flatbed van. 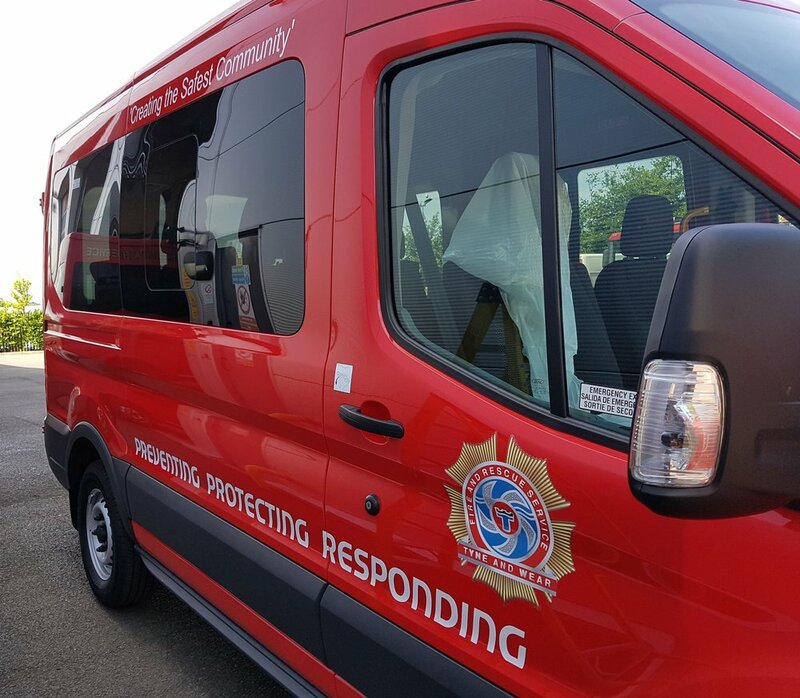 We advised large scale digital prints to fit along both sides, and the rear, along with logos for both cab doors and the bonnet. This job entailed a panel job on both sides and both back doors also being wrapped. 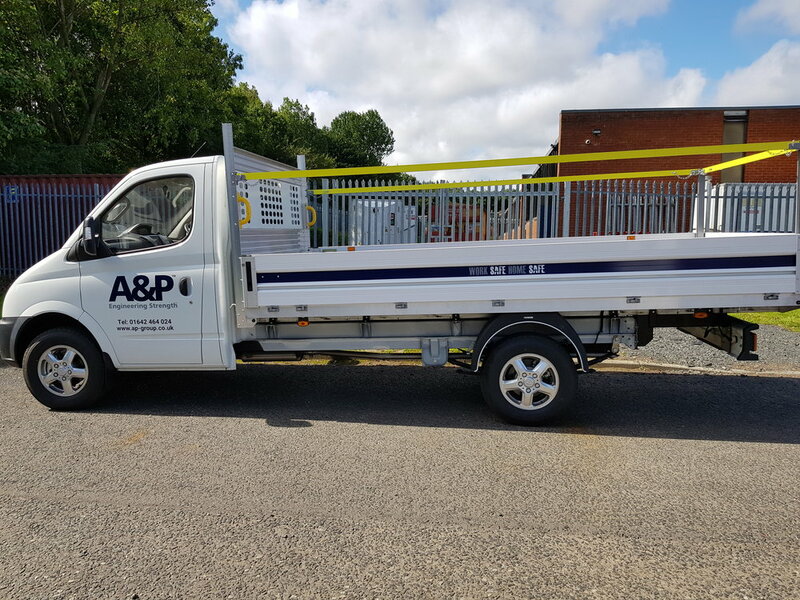 Standard panel job on a long wheelbase van. Simple but effective minibus decals. Effective use of vehicle graphics turned this Smart Car into a head turning advert for the company. The effective use of vehicle graphics turned this Mini Cooper Sport into an eye catching, retro work of art! The results are amazing! Simple but effective vehicle decals. 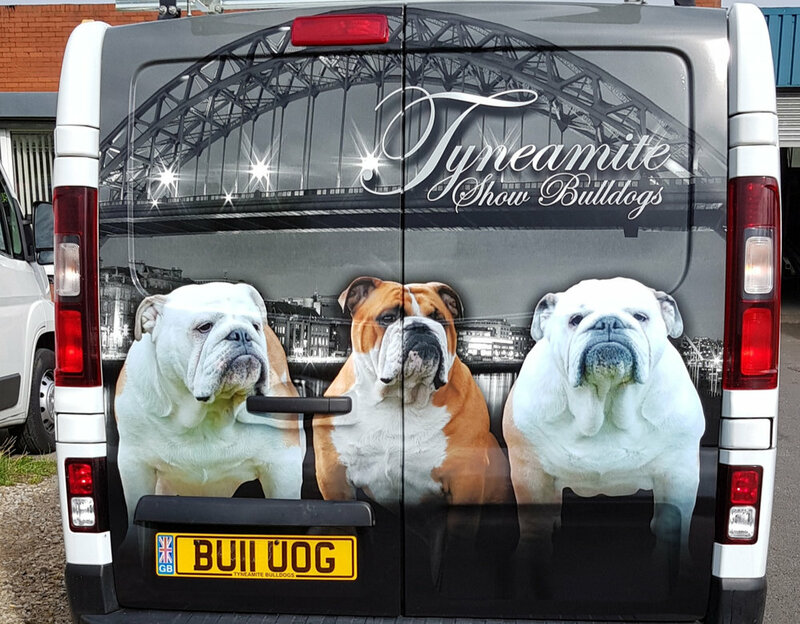 Large format digital print installed on both sides and the rear, with print and cut logos on both side doors. A highly detailed 3/4 vehicle wrap for GD Logs! Another happy customer. Print and cut logos with white vinyl. The installation of both of these wagons involved large scale digital prints being applied in a number of separate sections, to finally acvheive the final outcome shown.